The story of Little Nutbrown Hare and his father, Big Nutbrown Hare, is well-known. 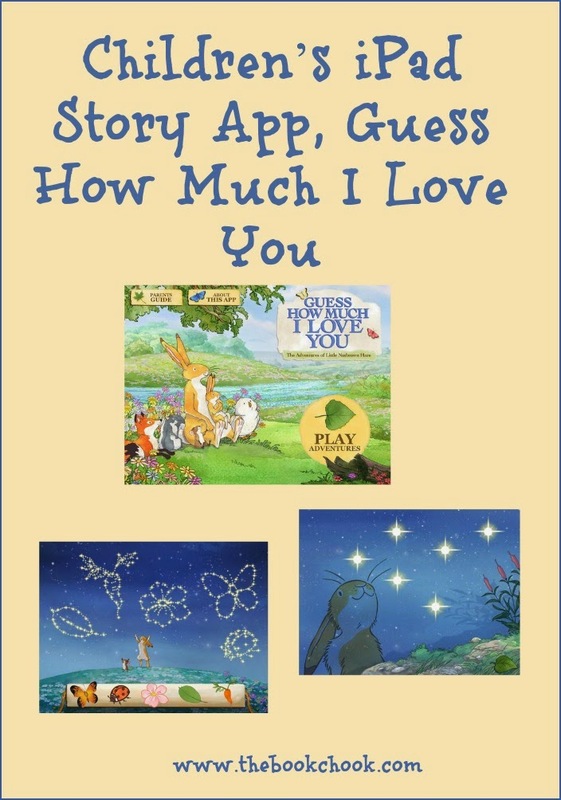 Guess How Much I Love You in picture book format has sold 30 million copies, worldwide, and generated more books, DVDs and other merchandise. The original children’s picture book was written by Sam McBratney, illustrated by Anita Jeram and published by Walker Books in 1994. Now here’s an app for iPad, with the full name of Guess How Much I Love You - Interactive Episodes. It was developed with the assistance of Screen Australia and NSW Trade and Investment. Join the adventures of Little Nutbrown Hare with a unique iPad application that includes 2 full interactive episodes, integrated with age appropriate fun games and simple puzzles to create an enhanced and engaging storytelling experience. Designed for young children and parents to explore and engage with together, the iPad application offers a simple and intuitive interface ensuring the application is easy to use. Kids will enjoy the personalised postcard sending function allowing them to share the Guess How Much I Love You experience with the entire family. The application has been developed for pre-schoolers aged 3 – 5 and suits all levels of iPad experience. I loved that the app is faithful to the gentleness of the original book version. In many ways, it’s like watching a little animated video, with suitable pauses for some interactivity. The games suited the story: finding shapes in the star formations in the sky and tapping stars to produce musical notes and tunes. The voice actors did an excellent job, with voices perfect for each character. And free is always wonderful, although iTunes indicates that may be for a limited time. (UPDATE: no longer free.) I love that navigation is simple and straightforward, but applaud the developers for stressing that the app is for parents and kids to use together. If your kids know the picture book, this makes an excellent extension for them. If they don’t, it might make a nice introduction to the book. The characters really are timeless, with a cuteness factor of 10+, and the story will definitely appeal to its target audience of 3-5 year olds. There are some nice colouring sheets available at the Guess How Much I Love You website.